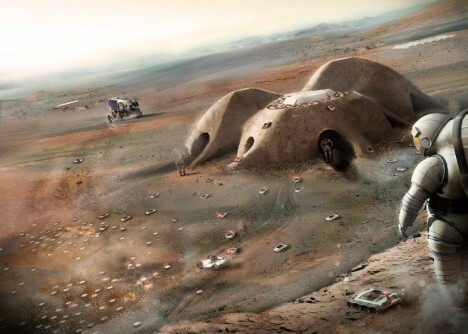 A set of 30 candidates have been selected for final consideration by NASA in the 3D-Printed Habitat Challenge, including robot-constructed buildings, ice architecture and underground dwellings, all designed to turn challenges of building on Mars into opportunities. 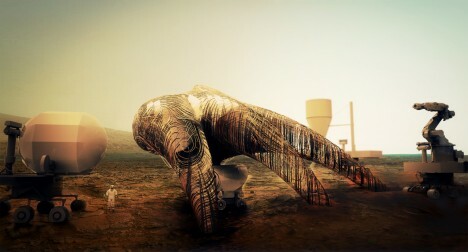 The three finalists shown below represent a subset of that range of compelling possibilities, varying in their approach to materials, automation and construction techniques. 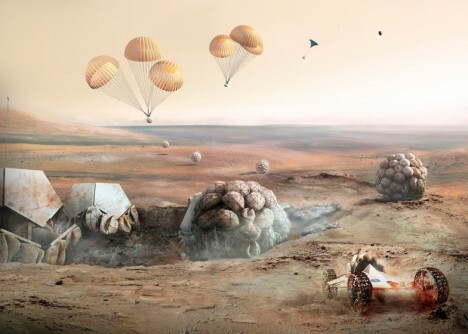 Foster + Partners proposes parachuting a series of task-specific, semi-autonomous robots to the surface, building out structures before the arrival of humans. 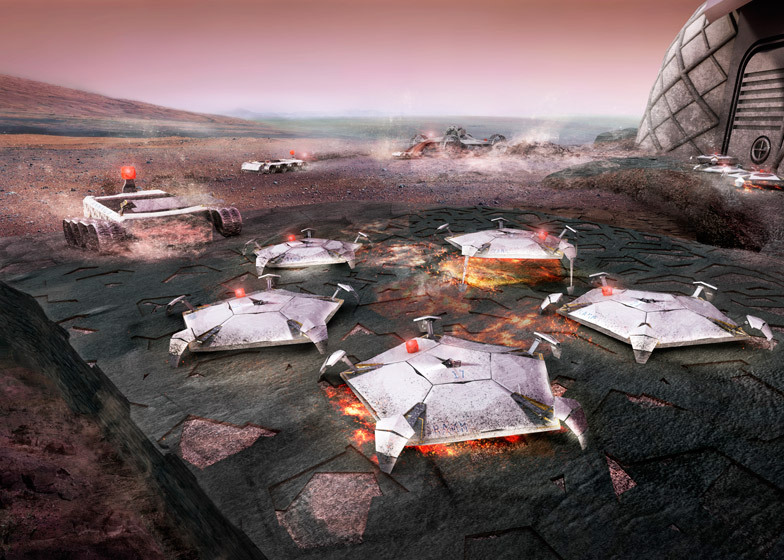 These robotic helpers will dig holes, organize rocks and soil into building materials and use microwaves to fuse these components into place. 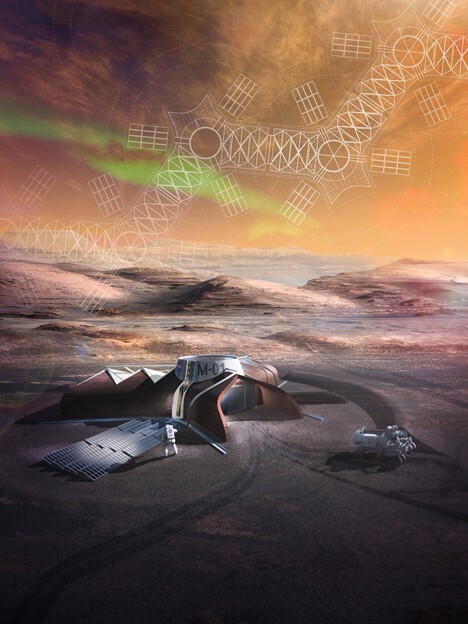 More complex prefabricated components would then be installed into the system of resulting structures, preparing them for astronaut habitation. The Ice House pitched by SEArch/Clouds Architecture Office offers connections between indoor and outdoor space via light filtered through frozen walls. Keeping NASA’s “follow the water” approach to space exploration in mind, the idea is to turn ice into a multilayered shell to enclose habitats and protected from radiation. “A unique 3D printing technique harnesses the physics of water and its phase transition to construct” structures. The Mollusca L5 by LeeLabs combines inflatable shelters with fabricated structures made entirely from local surface materials. 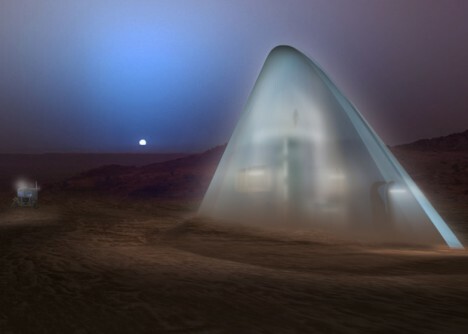 Sprawling organically like a slug, the habitat and storage areas are flexible and amorphous, combining hard walls and synthesized glass panels with soft cloth structures. 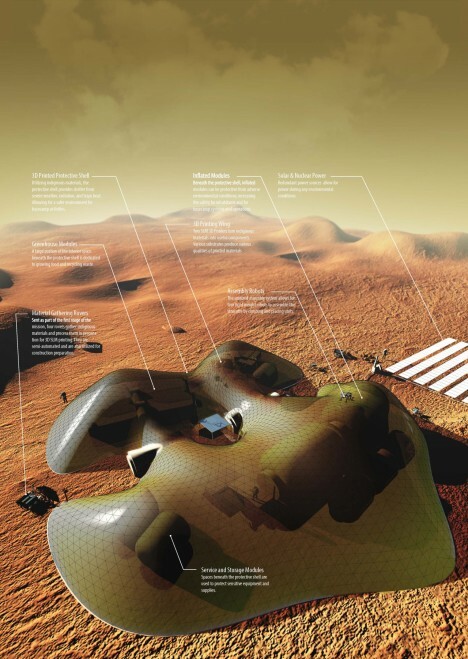 Common themes between projects include flexibility, modularity and redundancy – if either The Martian (a fictional story of a man lost on Mars) or Seveneves (in which humanity has to subsist in orbit for thousands of years) are any indication, surviving in space will mean facing challenges and overcoming obstacles through a combination of technology and ingenuity.